CWO5 Christian Wade made a video regarding the semi-auto fire and automatic fire. Ruger is coming up with updated version of its PC9 carbine. It can be taken down like 10/22 rifle, and uses Ruger SR9 magazine. On top of that it can use magazine adapters to use other magazine(Glock) as well. It is rumored to have some parts compatibility with 10/22 Takedown as well. Ruger announced a new pistol Security-9. This pistol is based up on LCP line, and has price of $379. The magazine holds 15 rounds of 9mm. Chris Bartocci goes over this semi-auto shotgun that was even adopted by USMC. The video covers the gun and its maintenance. MrGunsnGear looks at the Thurkish version of CZ 75 clone. Turkey has been using a lot of CZ clones, with years of manufacturing experience. The Firearm Rack uploaded a video showing a drop test done with Honor Guard by Honor Defense. Similar to SIG P320 test, dropping at a certain angle would cause accidental discharge or dead trigger. Savage Arms introduced a new AR rifle chambered in .224 Valkyrie, developed by Federal Ammunition. The caliber is geared for shooting 1300 yards and more and is based on 6.8 SPC case necked down to .224 caliber. It tries to be like 6.5 CreedMoor with shorter case and less recoil. Larry Vickers posted photo of China's Norinco made Glock frame. Gen 3 patents are supposed to be expired at this point so there are some companies that are copying the gun. 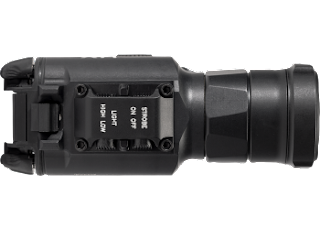 SureFire announced a new weaponlight that follows its X300 and X400 lines. 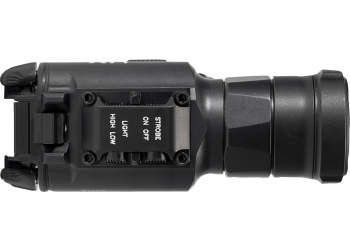 The new weapons light emits 1000 lumens(1.25 hrs) at high, 300 lumens(2.5 hrs) at low. It works with MASTERFIRE Rapid Deploy Holster. MAC looks at the new Caracal pistol and an interesting problem he encountered while shooting. BRCC gets in to the Christmas spirit this year and played some jingles. LAV shares the 5 guns a gun owner should have that will help with the shooter's ability. Chris Bartocci looks at this rifle. 7.62x51mm rifles has been filling a gap and this is one of them. Late Jim Schatz is in the video. Let's have a look at how you can train like you fight. Have some sense of humor, if you find this annoying. Guns.com has a series of photographs of rifles used by the US Marine snipers, from WW2 to recent. Colion Noir looks at the first generation of Glock. This video is a short version. 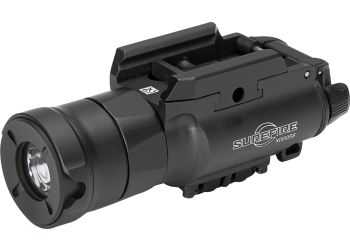 Larry Vickers shares some tips on installation and use of Aimpoint optics. The pistol will also be fielded by 3rd ACR and Security Force Assistance Brigade. Pricing, Cooper said, is expected to be between $800-$1,000 for shooters.